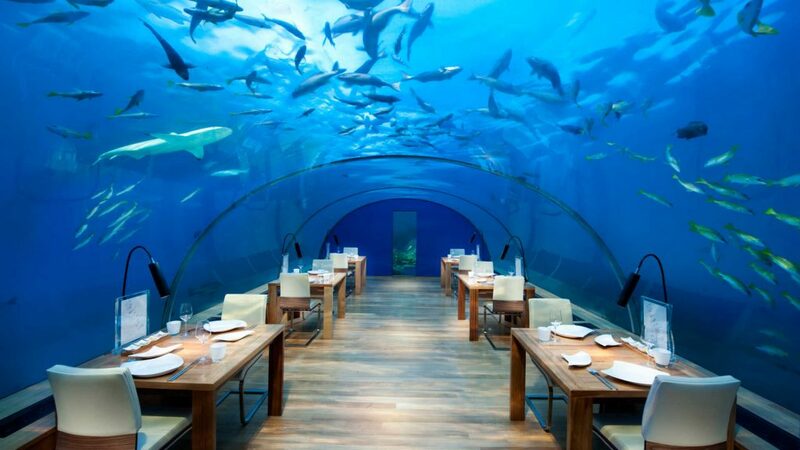 Imagine waking up underwater and being served breakfast in bed with fishes swimming all around you. No, this isn’t a sequel to The Little Mermaid or the plot of a gangster movie where the mafia throws a dead guy overboard. The phrase “sleep with the fishes” takes on a whole new meaning by allowing travelers to have a once-in-a-lifetime underwater experience. Some hotels actually offer bedrooms 16ft below the surface with enclosed glass bedrooms and epic aquatic views. Other spots allow you to eat an entire meal fully underwater while gazing at bright coral reefs and fishes all around you. At the same time, you’ll enjoy the peace and serenity of the blue calming waters and get a much-needed break from the chaos. If you’re looking for a once-in-a-lifetime vacation experience, check out some of the best “under the “ restaurants and hotels from around the world. Imagine a captain taking you on a short boat ride to your hotel which resides on your own private floating island! He’ll show you around, leave you with a kayak, snorkel, and fins, then give you the privacy to explore! Don’t worry – you pick the meal times and the food you want and they’ll bring it to you, which you can enjoy on your open deck. This floating villa not only gives you an open deck where you can lounge and stare off into the sea, but also provides the option of sleeping on an open roof where you can gaze at the stars or watch the sunset. 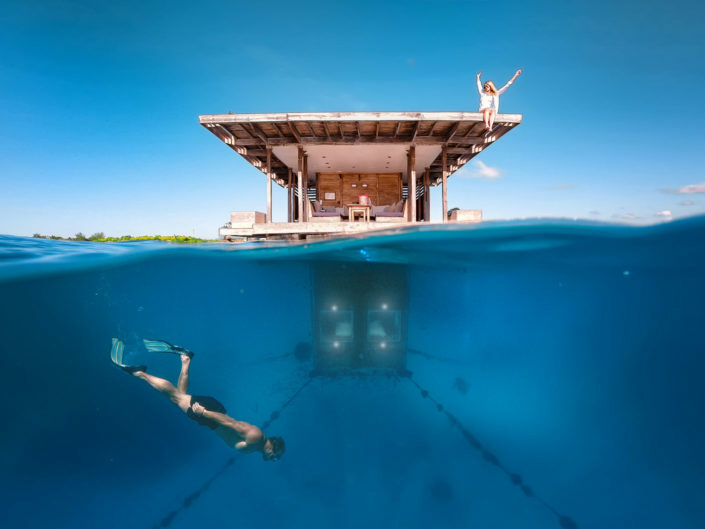 But the best part is the underwater bedroom where you can sleep surrounded by glass walls which reveal bright teal waters and multiple colors of fishes swimming all around you! Relaxing in your bed and gazing at the bright colors of fish combined with the tranquility of water is bound to put you right to sleep. They even have a security guard floating off not too far away should you need assistance. This floating villa is only available by boat and requires a minimum 3-night stay. Ever dined with the sharks? Well, there is a first time for everything! Located in a theme park with 32 aquarium tanks, guests can dine in the stern of a ship while glass windows allow diners to observe all the marine life swimming around—including sharks! This restaurant isn’t quite underwater, but having the chance to dine next to a shark tank in a South African ship puts this spot on our list! Once called “the most beautiful restaurant in the world” by The New York Daily News, Ithaa restaurant is located 16ft below the surface and provides you with an underwater dining experience like no other. And if you love seafood, you can take your pick from the reef lobster stuffed calamarata pasta or blackened scallops – just to name a few. 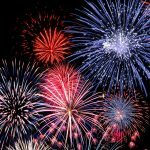 They even have morning champagne and an impressive lunch menu, complete with dessert items like honey roasted pumpkin cheesecake. 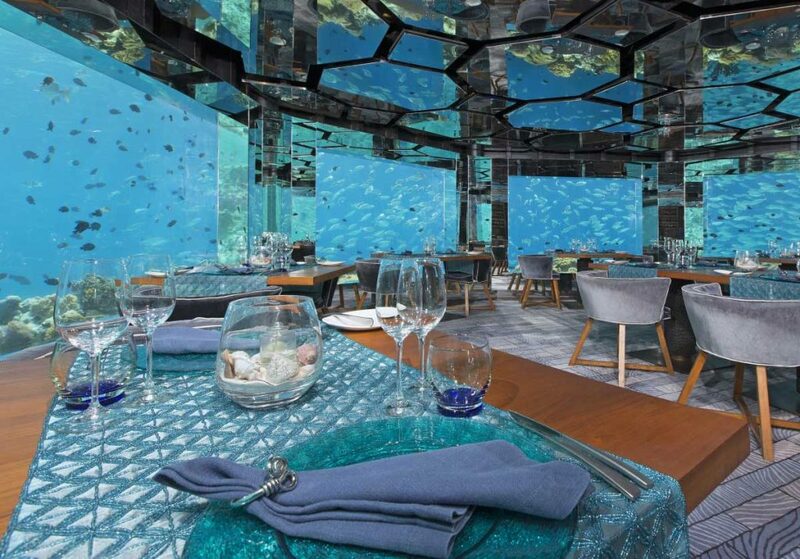 There’s a reason Ithaa has won two global awards for their dining experience. Bonus: Definitely not for Proud American Traveler’s on a budget, but for a special occasion or honeymoon experience, The Muraka Hotel is an epic two-level residence which includes private staff and an incredible “under the sea” bedroom that is truly out of this world. Ok I get it – we all can’t afford a luxury underwater hotel room (I certainly can’t afford it) – but rest assured Proud American Travelers – there is a much more “budget friendly” room available right here in the United States! And this undersea room may be the most intense of them all – because you actually have to scuba dive just to get to your room! That’s right – you literally need to go 21ft below surface to access this little room. Staying overnight too much for you? You can simply dive down and have a pizza lunch before you head back to the surface. If you’re looking for a unique vacation experience, consider sleeping or dining under the sea. This is definitely an item you can add to your bucket list and something you should experience at least once in your lifetime! You can make this trip as luxurious or as budget friendly as you like – whether you choose to eat lobster or pizza, this experience is one for every Proud American Traveler to try. And don’t forget to do all the cool excursions like scuba diving and snorkeling! 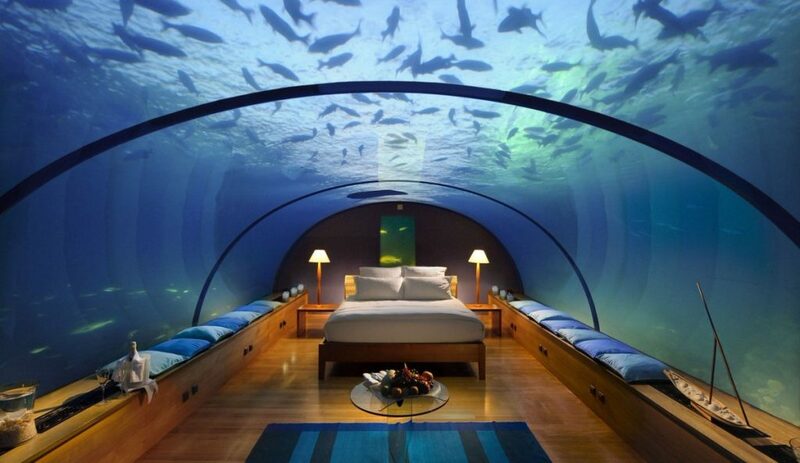 Would you ever consider eating or sleeping under the sea? If so, which place would you like to try first?